I'll have to admit, this book is dynamic! If you haven't read a book by Katherine Read, than I highly recommend that you do! She makes this amazing world that readers enter in, come to life. Every time I sit down with one of her books, I know I am in for a real surprise. Her characters are on point! You can't help but love them and feel as though you're apart of their lives. They are always growing with the story, which is exactly how an amazing writer is able to capture the reader with such emotion, which is what Ms. Reay does! You will love the the charm of the English country side and the elegancy of this book. I love how this book is written modern day, yet with classic information of the time frame of Jane Austen with the background and characterization as close as it could be. It makes it for a wonderful read. It is a book that will spark all five senses and bring out your imagination. This is Katherine's best book yet! Grab a copy of this book because when you get it in your hands, you won't be able to let it go until the final page. I give this book 5/5 stars. Thank you to the publisher for providing a copy. A favorable review was not required. 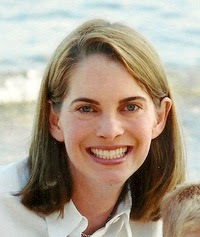 Katherine Reay has lived all across the country and Europe and has just moved with her family to Chicago. She is a writer, wife, mom, runner, and, most randomly, a tae kwon do black belt. 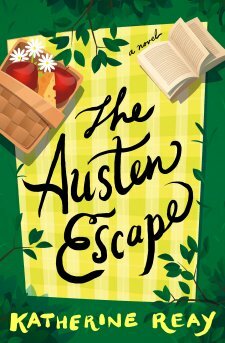 Her award-winning debut novel, "Dear Mr. Knightley," is a contemporary story with a dash of Jane Austen and other nineteenth century writers thrown in for the fun of it. Her subsequent novels, "Lizzy & Jane" and "The Bronte Plot" and "A Portrait of Emily Price" feature stories of hope, reconciliation, family, some seriously good food and travel.